If you are in the market to buy a car, you may find that your dollar goes further when buying a certified pre-owned vehicle. A certified pre-owned vehicle can be purchased with a manufacturer-based certified pre-owned (CPO) warranty. CPO warranties differ from extended warranties because an extended warranty sold by a dealer is not backed by the manufacturer of the vehicle, and a CPO warranty is. CPO warranties also tend to offer more comprehensive coverage and they're included in the price of the vehicle (unlike an extended warranty, which is added on to the price). When purchasing a CPO warranty, there are a few features you will want to take into consideration when comparing plans including the warranty's vehicle age limit, mileage limit, and transferability to subsequent owners. You'll also want to note which components are covered (whether it's bumper-to-bumper or only specific parts like the engine, transmission/transaxle, etc.) and if there is exchange or return available, as not all CPO programs allow this. Finally, you'll want to consider the inspection, which will show you which items were reconditioned to achieve certification. It's also good to take any additional covered services into account, from courtesy transportation, to trip interruption coverage, to vehicle history reports and more. Now that you have an idea of what to look for in a CPO warranty, read on to see our choices for the best available today. 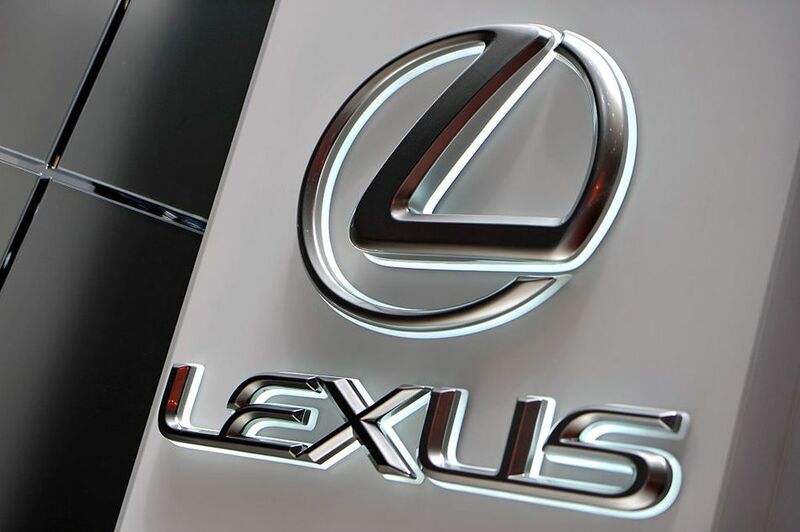 For those looking to purchase a certified pre-owned luxury vehicle, the CPO warranty from Lexus is hard to beat. You’ll receive six years of limited bumper-to-bumper coverage with a no-mileage limit, a bonus that really sets it apart from other CPO luxury car warranties. There is also complimentary roadside assistance and free maintenance covering up to four factory-recommended services for two years or 20,000 miles. All Lexus pre-owned vehicles are certified by specially trained technicians completing a 161-point checklist inspection. Trip interruption coverage will reimburse you for meals and lodging for up to three nights (up to $200 per night) while repairs are made to your vehicle. In addition, you’ll also receive reimbursement for a rental car for up to five days (up to $50 per day). With the Lexus CPO, you’ll receive many of the same benefits as someone buying a new Lexus vehicle. Kia is an industry leader for powertrain coverage, which will pay for repairs to the major components of your vehicle’s engine, transmission/transaxle, transfer case, drive axle and hybrid/plug-in electric compressed natural gas components. It offers a 10-year/100,000 miles CPO limited powertrain warranty with 12 months/12,000 miles platinum coverage. Eligible vehicle must be five years old or newer and have less than 60,000 miles. Kia CPS warranties also include complimentary 24-hour roadside assistance with towing/rental and travel breakdown coverage. There is a deductible of only $50 per visit and the coverage is transferable to future owners. The certification inspection offers a 150-point inspection and CARFAX vehicle history report. You’ll receive instant authorization of covered repairs by calling the toll-free number which also provides a list of Kia dealerships near you. Ford offers a 12-month/12,000 miles CPO warranty that stands out from the competition because it covers additional components (like navigation and audio systems) which many manufacturers exclude. The powertrain warranty is one of the best in the industry, covering seven years/100,000 miles starting from the date of the new car purchase. The Ford CPO also includes a comprehensive limited warranty of 12 months/12,000 miles that covers engine, transmission, rear-wheel drive, front-wheel drive, steering, brakes, front and rear suspension, electrical systems, air conditioning/heating, technology components, emissions components, factory installed audio systems and safety systems. There is a $100 deductible for covered repairs and the comprehensive limited warranty is transferrable to subsequent owners. Each vehicle must pass a 172-point inspection and comes with a CARFAX vehicle history report. Extras include a three-month free trial of SiriusXM satellite radio, 24-hour roadside assistance, rental car allowance, trip interruption coverage and emergency transportation allowance. Hyundai offers one of the best CPO warranties in the industry. While many manufacturers only offer 1-year/12,000 miles comprehensive warranty, Hyundai offers the balance of the original 5-year/60,000 miles warranty in addition to the 10-year/100,000 miles powertrain warranty. The powertrain warranty begins from the original in-service date and covers major engine, transmissions/transaxle, and drivetrain. The coverage is transferable at no cost. Hyundai’s CPO warranty also comes with roadside assistance for 10 years with unlimited mileage and trip interruption/rental car reimbursement: $100 per day (up to $500 per occurrence) for trip interruption and rental car reimbursement up to $35 per day (for up to 10 days). All Hyundai certified pre-owned vehicles must be five model years old or newer and have less than 60,000 miles. Each vehicle undergoes a comprehensive 150-point quality assurance inspection and has a clean title verified by a CARFAX vehicle history report. If you are buying a certified pre-owned BMW with less than 15,000 miles, you qualify for the BMW Elite category. This provides one year or 25,000 miles of coverage (beginning on the expiration of the new car warranty) for a total of 5-years/75,000 miles from the original in-service date. For the other certified pre-owned basic warranty, BMW provides one year with unlimited mileage, beginning at the expiration of the 4-year/50,000 new vehicle warranty. The CPO warranty begins on the date of the new car purchase, and there is a $50 deductible for repairs. Cars undergo a 100-point certification inspection and come with a CARFAX vehicle history report. The warranty is transferrable to subsequent owners for a $200 fee. Extras include 24-hour roadside assistance, a free loaner if the vehicle is serviced at a BMW dealership, and BMW Assist, which offers collision notification and TeleService. For certified pre-owned vehicles bought on or after January 1, 2014, the BMW CPO Plan is not transferable (there are some exceptions with the completion of a limited warranty transfer application). The thing that stands out about the Chevrolet/GMC CPO program is its vehicle-exchange program. If you change your mind and want another vehicle within three days or 150 miles, you can do so. Exchanges are allowed for any vehicle that is a Buick, Chevrolet, or GMC since all share a CPO program. Vehicles must be five years old or less with 75,000 miles or less. The powertrain limited warranty is for 6-years/100,000 miles and the bumper-to-bumper limited warranty is for 12-months/12,000 miles starting from the date of the CPO purchase. There is no deductible for covered repairs and the warranty is transferable to a new owner. Each vehicle comes with a CARFAX vehicle history report and must pass a 172-point certification inspection. An important note here—GM requires dealers to complete any safety recalls before a certified pre-owned vehicle is sold, which should give owners some peace of mind. Extras include CPO scheduled maintenance for 2-years/24,000 miles, covering two scheduled maintenance visits for an oil and filter change, tire rotation and multi-point inspections. Nissan offers something unique with its CPO warranty for the all-electric Leaf — very few manufacturers offer this kind of plan for an electric vehicle. For all certified pre-owned Nissan vehicles to be eligible for coverage, they must be less than six years old and have less than 80,000 miles. The powertrain limited warranty is for 7-years/100,000 miles, and there is a $50 deductible for repairs. If you purchase the extended warranty, covered repairs come with no deductible. Each car must pass a 167-point certification inspection and each Nissan certified pre-owned vehicle comes with a CARFAX vehicle history report. Extras include a three-month free trial of SiriusXM satellite radio, 24-hour emergency roadside assistance, rental car reimbursement, and towing assistance (up to $100). The CPO warranty is transferable but only to one subsequent private owner. Subaru offers a 7-year/100,000 miles powertrain warranty starting from the date of the new car's purchase. It has zero deductible for covered repairs. Eligible vehicles must have 80,000 miles or less and be five years old or newer. The warranty is transferable to a new owner for a fee of $75. Each Subaru certified pre-owned vehicle undergoes a 152-point certification inspection and comes with a CARFAX vehicle history report. Extras include a three-month free trial of SiriusXM satellite radio, a $500 loyalty coupon, a one-year free trial subscription to STARLINK (a safety plus package with automatic collision notification) and 24-hour roadside assistance. There are two optional upgrade plans available in addition to the standard CPO Powertrain coverage.